It may not be ludicrously thin like the new MacBook, but the MacBook Pro is still the workhorse of Apple's laptop range -- and it's just received an update. 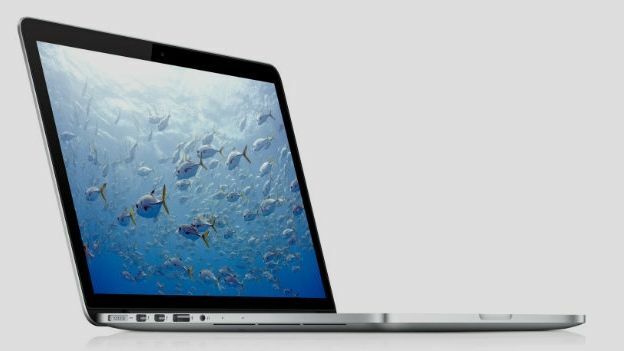 The new 15-inch MacBook Pro with Retina Display now includes a 5th-generation Intel Core 'Broadwell' processor and new speedy flash storage, which Apple claim is around 2.5 times faster than its predecessor. The most interesting aspect of the new MBP is the trackpad, incorporating Apple's Force Touch technology which first debuted on the Apple Watch earlier in the year. Force touch adds pressure sensitivity to the trackpad, triggering additional input commands -- similar to a right click but more useful. Users will also get an extra hour of battery life, with around 9 hours of internet browsing, and a discrete graphics option. Prices start at £999 for the 2.7GHz Intel Core i5 model, with 8GB of RAM, 128GB of flash storage and Intel Iris Graphics. The range tops out at £1,999 for the 2.5GHz model, with 16GB of RAM, 512GB of flash storage, Intel Iris Graphics and AMD Radeon R9 M370X GPU with 2GB GDDR5 memory (If those specs don't mean anything, then this probably isn't the one for you). The company has also unveiled a new iMac, using the same 27-inch 5K screen as last year's model, but now with a 3.3GHz quad-core Intel Core i5 processor and AMD Radeon R9 M290. The top-end model has received a price cut, now costing a measly £1,849.